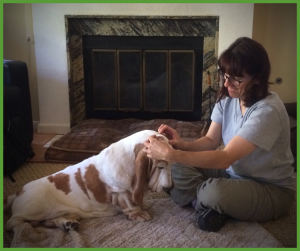 Lynn Webb is a dog trainer and canine massage therapist who lives in Escondido, California, in North San Diego County. 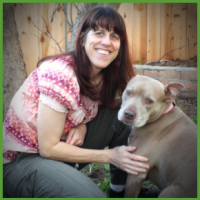 She is certified as a dog trainer through the Karen Pryor Academy and as a massage therapist through the Rocky Mountain School of Animal Acupressure and Massage. Lynn has a Master’s degree in United States History and worked for 15 years at the San Diego Wild Animal Park (now known as San Diego Zoo Safari Park) in various positions including Tour Guide, Educator, and Zookeeper. Today, as a dog trainer with her own company, The Proficient Pup, Lynn specializes in assisting clients with their anxious, shy, or aggressive dogs. She has a strong interest in alleviating the fears that pet dogs experience in varying environments, including rattlesnake habitat. When educating people about Rattlesnake Avoidance, she wants to show them that there is a way to teach a dog to avoid something without teaching him to fear it. Lynn also believes that we humans can respect wildlife and protect our dogs at the same time. Because when it comes to snake-avoidance training, it’s not about the snake; it’s about the choices we make.